Paying employees fairly is crucial to your organization. If you pay too little, your key employees may leave, and if you pay too much, you could drastically hurt your profitability. Ineffective and/or inappropriate compensation programs can weaken an organization’s ability to achieve its mission by reducing its competitiveness in the labor market, increasing unjustified labor costs, and putting the organization at risk of lawsuits and/or inquiries from government oversight agencies, due to non-compliance. Additionally, with the revised Equal Pay Act being introduced, and with the passing of the Lilly Ledbetter Fair Pay Act, the 180-day statute of limitations for filing an equal pay lawsuit regarding pay discrimination resets with each new discriminatory paycheck. 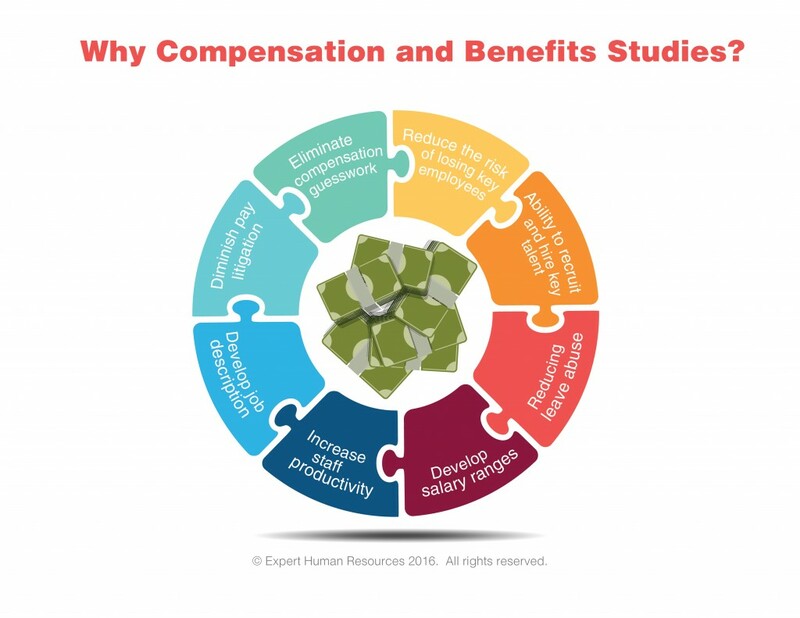 Eliminate compensation guesswork and give you the ability to make good pay decisions. email us at info@experthumanresources.com Today! "HR 20/20 - HR Guidelines to Protect Your Assets & Grow Your Profits!" to avoid employee related lawsuits!